To use, you just select the cells (hundreds of cells can be done at one time!) 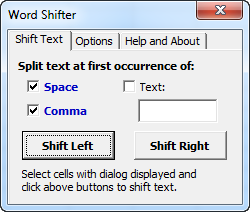 containing the words to shift and click on either the shift right or shift left button. 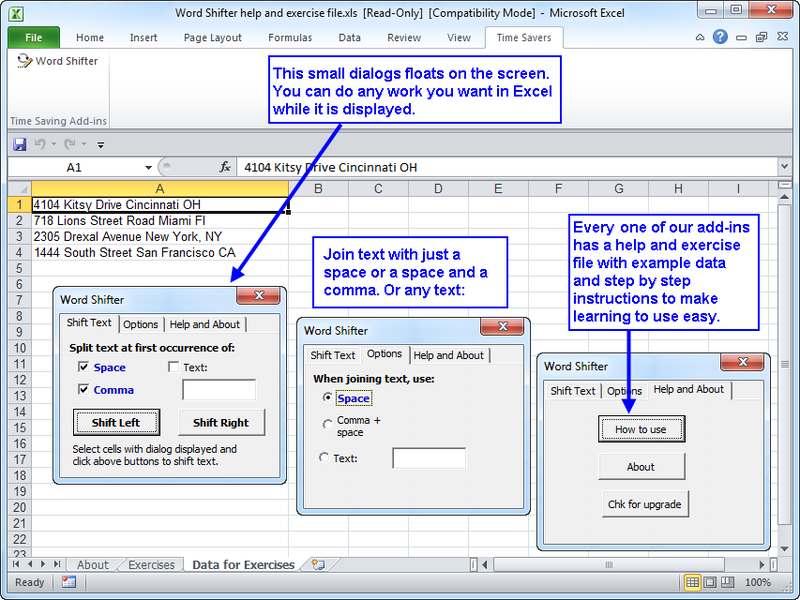 No more manually editing cells one by one to shift words! When cells are shifted, you can join the new words to the destination cells using a space, a comma or any text you insert in the text box. Thus you can use the separator text you need with a simple click. The shift of the words was done in just a few seconds for hundreds of rows of data.